STANLEY MORRIS ENGINEERING has been in business since 1968 and is comprised of a qualified staff that has many years of experience in land surveying, civil engineering services. SME consists of two licensed professional engineers for the state of Texas and one licensed engineer for New Mexico and California. SME also has a registered Texas Land Surveyor. SME has 7 full time personnel (2 staffed field crews). Various other support personnel are on staff and used in varying capacities as needed. SME was founded and is owned by Stanley Morris. SME utilizes large printer / plotters to provide color or black/white drawings in the highest quality with a resolution up to 2400 x 1200 dpi for our client's technical applications. Additionally, current Microsoft Office products are used. STANLEY MORRIS ENGINEERING progressively incorporates the technological advances made in the surveying industry. SME currently uses Viva Leica GPS systems, robotic total stations and digital levels for field work. Field crews are equipped with 4-wheel drive trucks and have access to ATVs when needed. 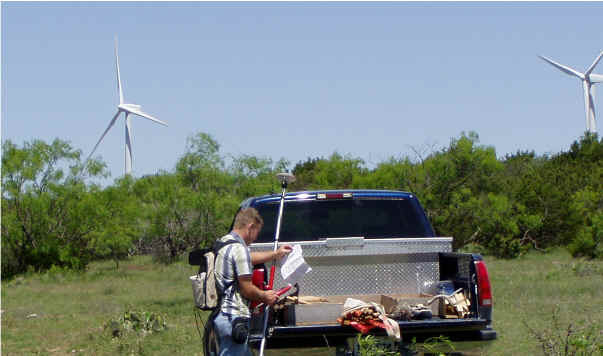 Our field survey crews are experienced in various types of regions in Texas and New Mexico.